When it comes to sweets, I am not so keen on them. I am more of a savory person than sweets and the only sweets I ever ate were the ones I grew up with, especially the ones that Amma would make it at home. Like the Payasams, Rava Laddoo, Athirasams or even the kesari bath. The only one store bought that I loved eating is the Son papdi. So there was never a question of me even looking at a box full of Bengali Sweets that used to land on our table more often than I liked. 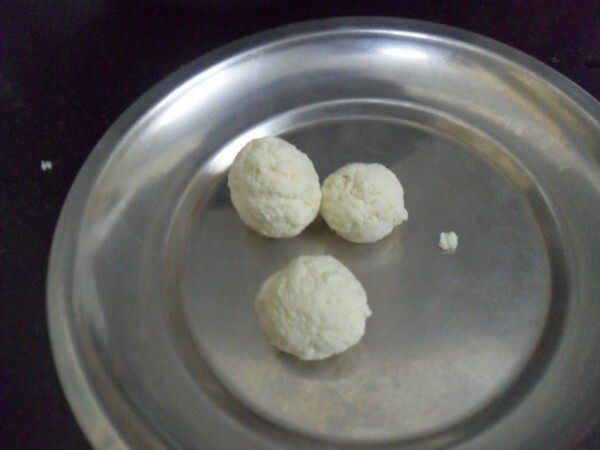 Would you believe if I say that I am yet to eat a Rosogolla? Well that’s true and is not something that’s going to change in near future too. Even the Ras Malai, that used to feature so much during childhood, was not tasted until I was forced to take it for Indian cooking challenge. Then it was a case of late love and I ended up making it at least 4 -5 times. Still that didn’t force me to make Rasogulla. Infact the stage before it becomes Ras Malai is the Rasgulla, but I wasn’t tempted. Now if this post sounds like I have finally got myself make rasagulla, I am sorry. That’s not the case. This post is about another bengali sweet, equally ignored by me till now. Chhana or Paneer is the base for most Bengali Sweets. With my affinity for Paneer, it is only natural that I should like Bengali sweets, Somehow I have kept myself away. Finally I have made Cham cham, Rasa Malai and now was the turn for Sondesh! Since I was trending on unknown areas, I thought it would be best if I simply follow what the experts have to say about it. So this recipe is completely referred and adapted from Sandeep’s and Soma’s spaces. Both of them write so well and have such beautiful pictures that it’s breathtaking to read through them. Anyway I was making this for my visit to my sil’s place. This year we made a second trip to their place, because of kids vacation. And instead of the traditional cookies and cakes, I made Chocolate Kalakand and Sandesh. yes this is that old a dish and I saved it for the ABC Series. Imagine your S getting done so ahead of time. 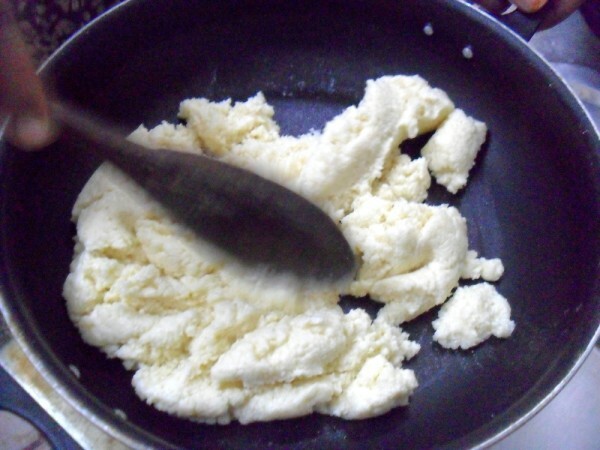 I was making Sandesh with 6 liters of milk. The first batch I did in the morning, backfired and ended up making the Kalakand with it. I made the chhana and instructed Konda to knead it and keep it ready for me in the evening. So the entire kneading for this was handled by Amma and Konda. When I took this out to make the Sondesh, it was so soft and well done. After tolling around the pan, trying to get it out at the right moment, I had the pleasure of eating it hot and still so juicy and wondered why I missed eating this for so long. Anyways this was still too sweet for my taste and reserved them for my nephew and nieces. Everybody loved the goodies so much that it got vanished within minutes! If you want to read about the varieties and the ways a Sandesh is made I suggest you read Sandeepa and Soma’s post. Heat milk on medium heat and bring it to a gentle boil. 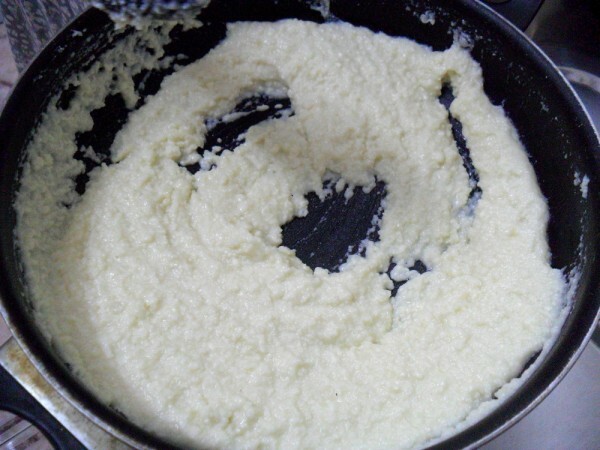 Keep on stirring during this process so the milk does not get burnt at the bottom of the pan. Simmer once it is boiled and boil for couple of minutes. Stir in Lemon Juice / vinegar and increase the heat a bit. The milk will start to coagulate. The coagulation will be completed in a few minutes. Do not overcook/over heat. The moment you see the clear greenish water, switch off the heat. 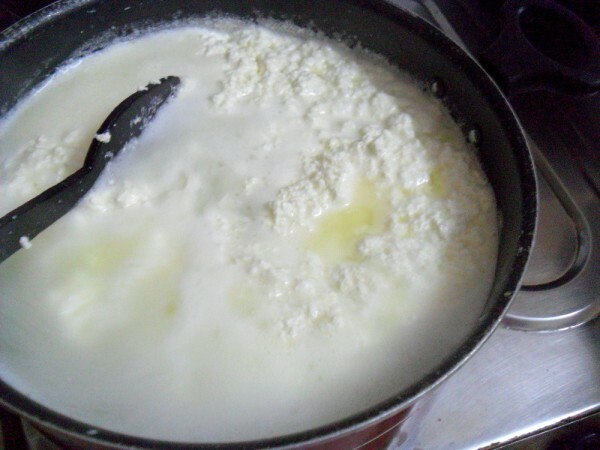 Over cooking will make the chenna/cheese stiff. Once the water is all drained, it is time to knead the chenna. Using your fingers and heel and palm, knead evenly for about 7-10 minutes. During the last 3 minutes, add the sugar and the crushed saffron. 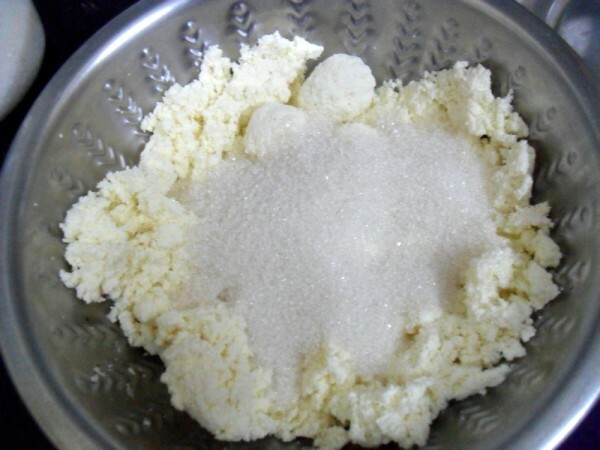 Knead the chenna/cheese along with the sugar. By this time the chenna/cheese should be very smooth and not grainy at all. You will feel the fat from the cheese glisten on your palms and the cheese itself. To test if it is done and ready for the next step, take a portion of the chenna/cheese and roll it in a sphere between your palms. The sphere should be very smooth on the outside with no cracks. Next comes the most crucial and tricky step. If you are making this for the first time as I was, I suggest you be on alert. The Chenna will be cooked just enough so it does not have the raw cheese taste. You got to stop at the right moment, few minutes extra will result in overcooking the Chhena. Of course you can still eat it, though you won’t be able to shape them. 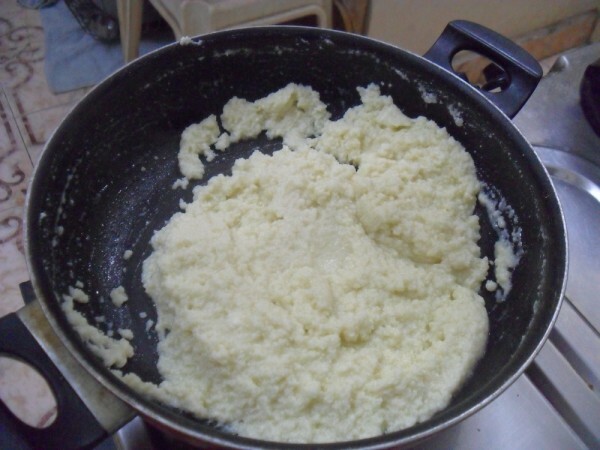 Take a non stick pan, and put the entire chenna/cheese in the pan. Switch on the stove at a low heat. Spread out the chenna/cheese, and cook it on low heat, while constantly stirring with a spatula so it does not stick at the bottom of pan. This should be done for about 12-15 minutes. You will see it slowly change into a slightly darker shade. The texture will change too. 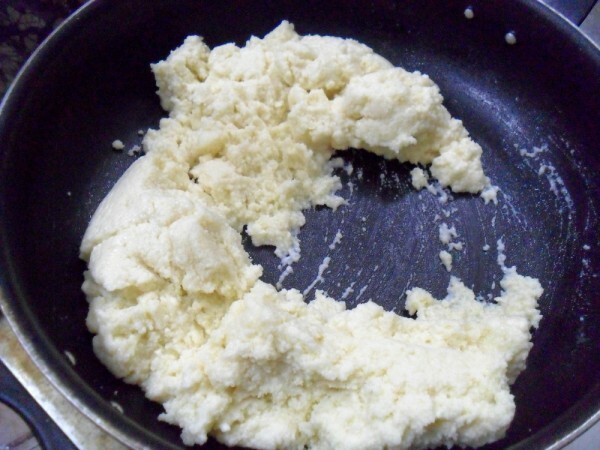 When it is towards done, the chenna/cheese will no longer stick to the pan; it will form lumps and kind of gather together. This particular procedure is called “Paak”. Once this stage is reached, quickly take it off the heat and transfer it to a bowl. If the chenna/cheese is heated beyond this, it will form crumbs and you will not be able to mould it into shapes. 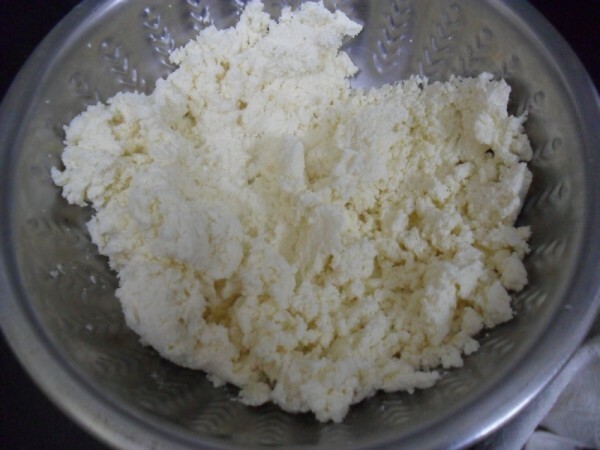 Soma says the Chenna/Cheese in this stage is called “Makha” – the prepared but not yet moulded Sandesh. So you have the chenna ready to be given shapes. You will have to mold them right away when it is still warm to touch. Since I didn’t have any moulds, I simply shaped them as balls and flatten them. Garnish with pistachios, rose petals, saffron – whatever you want it to be. They will harden a bit and won’t be as fragile when they cool down. Cool the Sandesh and store in the air tight containers in the refrigerator. They stay good and fresh for a week. 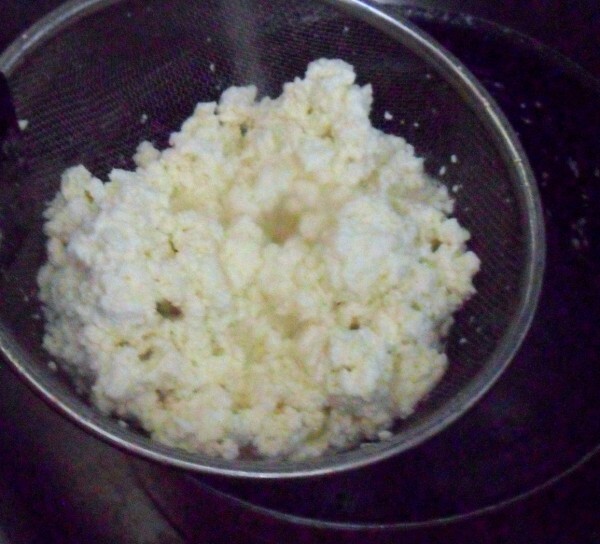 Make sure the paneer is washed and drained well. Else you will end up having a lemony paneer. Also the kneading has to be done really well, else you won’t end up having a soft chhena. While doing the Paak, if you notice that the Chenna is releasing water instead of drying up quick, it would mean that it was not drained well. Don’t panic. It just means that the cheese needs to be cooked a little bit longer. Increase the heat a little bit and cook while constantly stirring and mashing it down with spatula till it reaches the above mentioned state. Wow. I love that close up pic Valli. That's a good one. Very neatly presented. The first time I made this it became a disaster and I m afraid to try it again. I wonder why you haven't tasted rasagulla. That's my favourite. Very delectable choice for "S". I'm surprised that you never tasted rasogullas Valli. I've made sandesh quite unsuccessfully onetime and may be it's time to try again. You did a great job and working with 6 liters of milk must have been quite a task. Also not to forget your little sous chef– great job to her too. 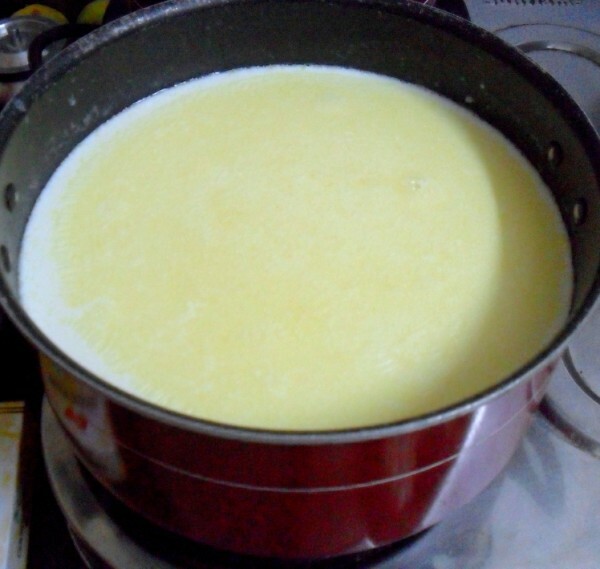 wow working with 6 litres of milk is so time consuming… hats off to you… sandesh has come out perfectly!! Bengali sweets are my weakness, obviously sandesh is my all time favourite, you done a wonderful job valli. You are almost like my husband! The only sweet he likes is son papdi and he can tolerate a bit of payasam or athirasam. But as a whole, he doesnt like sweets…and I wonder how that is possible!!! Anyway, hopefully we will see a late love developing for rasgollas too soon, Valli!! 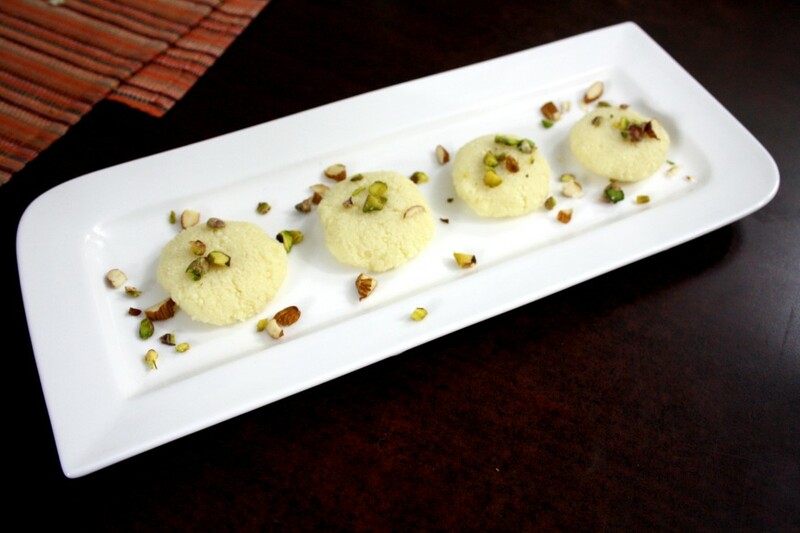 And the sondesh is making my mouth water…yum yum! Great read on Sondesh making. 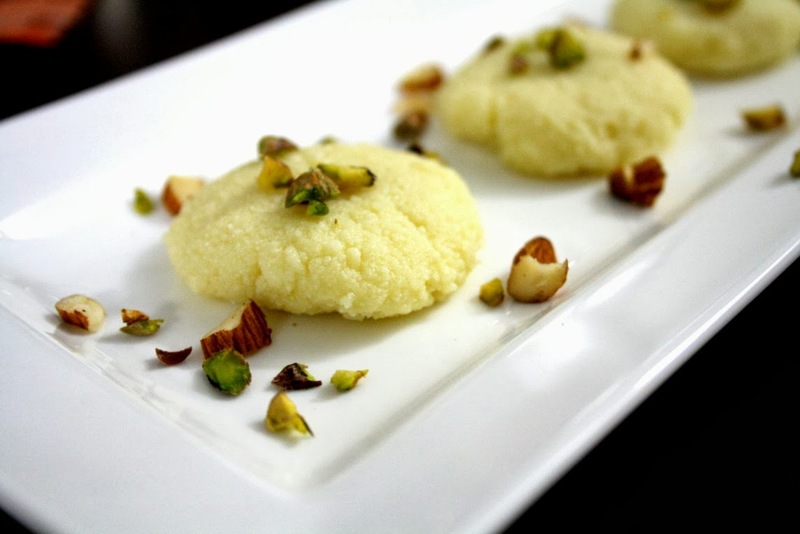 Have a bit of phobia in making Bengali sweets but will overcome it by using your recipe. It must be a task to work on wit 6 liters of milk . Hats off o you . Sandesh is looking so delish !! I tried this some time back ammas favorite. 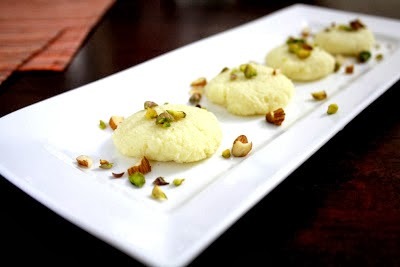 But some how I don't like this, I am a big fan of ras malai… looks good.. It is unbelievable that you haven't tasted Rasgulla yet! But Sondesh is looking awesome nd I am sure it tasted divine! sondesh, really so moist and tasty. yumm yumm, I like all bengali sweets…when should I visit you:-) ?